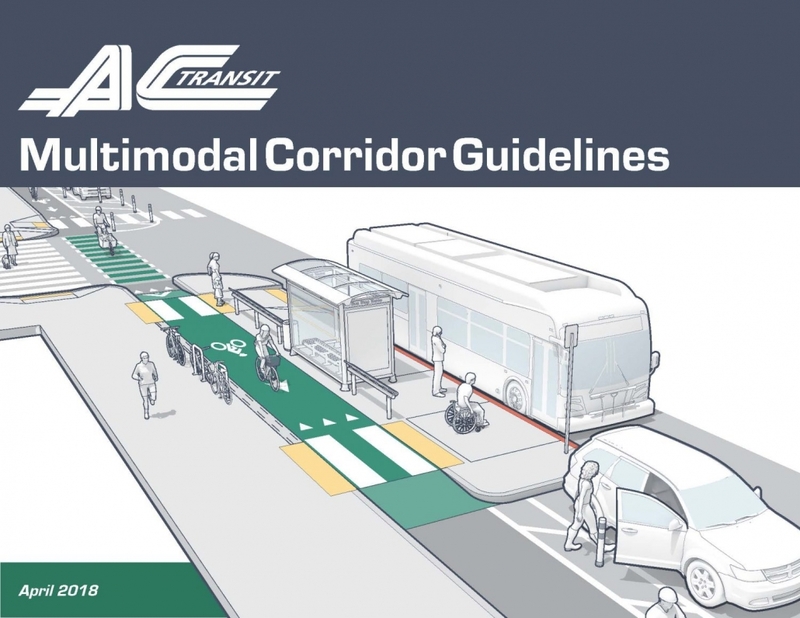 AC Transit, AMG, and project partners are pleased to present the AC Transit Multimodal Corridor Design Guide! AMG’s Michael Ohnemus served as co-author to the Guide, which provides the latest and greatest in corridor and street design guidance around bus stops that balances the needs of bus operations, pedestrian access, and complete streets designs that will be used to better serve the residents of Alameda County and Contra Costa County California. The document provides guidance for a range of typical roadway conditions to help ensure efficient transit operations, accommodate the needs of bicyclists, and facilitate safe access to and from bus stops for AC Transit passengers. The guidelines are organized around five different typologies that vary based on the type of bicycle facility being considered and its location with respect to the curb, parking lane, and moving traffic. The design manual also includes a compelling narrative for improving transit as part of Complete Streets projects and illustrations of recommended designs for a variety of scenarios. Ultimately, the guidelines will help create a more predictable, safe, and uniform experience for bus patrons, drivers, bicyclists, and pedestrians as they travel through the jurisdictions served by AC Transit. 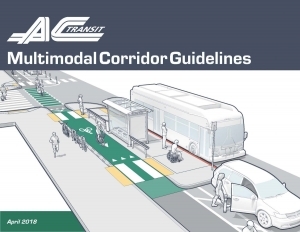 Visit the AC Transit website to view the Multimodal Corridor Design Guidelines, or download the document directly. http://amobility.com/wp-content/uploads/2018/06/AC_Transit_Multimodal_Corridor_Guidelines_Cover.jpg 1159 1500 Christina Ramos http://amobility.com/wp-content/uploads/2018/05/amg-logo-blue.png Christina Ramos2018-06-28 10:18:022018-06-28 10:18:02AC Transit, AMG, and project partners are pleased to present the AC Transit Multimodal Corridor Design Guide!